Genesis Eye Serum Reviews: Can You Really Trust This Product? Genesis Eye Serum Review: Does this serum repair the skin damage? This product is manufactured by L’Oreal, one of the world’s most recognizable brands in skin care, hair care and cosmetics. 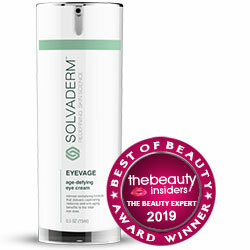 Weightless texture and easily absorbent, this eye serum won’t leave your skin feeling thick, uncomfortable, and greasy. This product does not contain irritating fragrance ingredients. Genesis Eye Serum reviews have generally pointed out how well this product moisturizes skin, both instantly and keeping it hydrated for hours. The full ingredients list is not disclosed, and it seems that there is no dedicated web page on the L’Oreal website to discuss this product in detail. Obviously lacks ingredients that will have brought about buildable, long-term benefits that last. 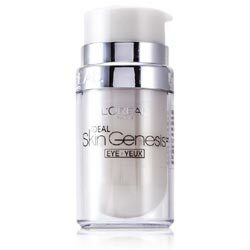 Genesis Eye Serum is a basic eye serum at a bargain price of US $11. 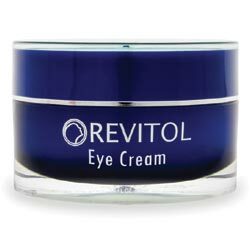 This product may be well suited to younger skin but, not when the signs of skin aging have started to kick in. That’s because this product does not seem like it was built to correct signs of skin aging. So, if you have mature skin, you simply need better.